Undergoing dental implants in Merrick is your personal choice and is affected with factors such as the benefits the dental implants can offer. When you opt for dental implants in Merrick, you need to begin searching information regarding the right choice of a professional to perform the treatment, the cost involve and the before and after dental implant special instructions given by the doctor. While the success of the dental implant lies on the doctor’s abilities, your choice of a dental implant material that has something to do with the entire cost of the treatment; as well as the way you take care oral health after the procedure are equally important as well. Dental implants may not work best for all individuals. Hence, when a dentist quote you for dental implant and schedule you for the said treatment without thoroughly checking your oral condition, then you should doubt the dentist’s abilities. Any dentist performing dental implants in Merrick will tell you to submit to series of check-ups with x-rays and intraoral pictures to determine the condition of your gums and bones. You need to find the right dentist to ensure you of safe treatment. He or she will not let you undergo the procedure if your condition does not warrant. The clinic where the implant will be done is also furnished with equipment and facilities that will ensure safe and appropriate treatment process. 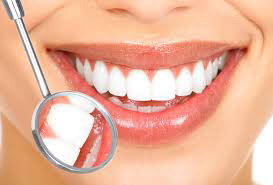 Prior to the treatment, the dentist will lay down the procedure to follow and will discuss with you the things you need to be done before and after the treatment. Your dentist for dental implants in Merrick should show you a replica of the outcome of the treatment that you should expect to have. Remember, your teeth will be replaced and their size, appearance, shape and color should reflect the natural teeth so they are not noticed as implants. All of the above mentioned expectations from a doctor who is worth hiring for your dental implant can be afforded to you only by certified and well-trained cosmetic surgeons in the field of cosmetic surgery. Not all doctors can perform surgical insert artificial tooth root; only the one that specialized on such field. When making a choice of a dentist, you can begin seeking for recommendation and referrals from your general dentist or from your family doctor. You can also check on the American Association of Cosmetic Dentist for members who are near your area. Searching online can help you best too. Besides, you can also ask your friends and co-workers for referrals of dentists for dental implants in Merrick. Before the dental implants will be performed, your doctor will orient you of the things that you should do before and after the procedure. In most cases, your cosmetic dentist will instruct you to use mouthwash and take antibiotics several days before the implant. Dental implants in Merrick will definitely stay longer without any complications when you do proper oral hygiene just the way you do with your normal teeth. Brush and floss the replacement teeth regularly and make sure to have an appointment with your dentist to check on the inserted tooth root.